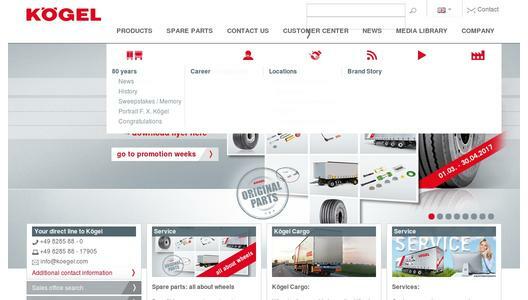 Patrick Wanner is the new Head of Public Relations at Kögel, the semi-trailer manufacturer. The 39-year-old has been responsible for national and international press and public relations of the company since 1st March 2017. Wanner is taking over the Communications Department from Volker Seitz, who has left for pastures new. Petra Adrianowytsch, the Managing Director, will be responsible for the Business Development Department in future, and Eva-Maria Pohl, the Head of Marketing, will be in charge of the Marketing Department. Eva-Maria Pohl and Patrick Wanner will report directly to Petra Adrianowytsch, Managing Director of Corporate Development, Human Resources and Marketing/Communication at Kögel. 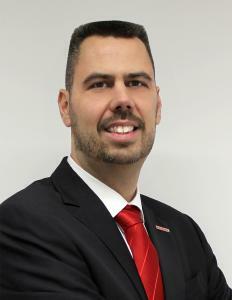 With Patrick Wanner, has Kögel made an appointment from its own ranks to the position of Head of Public Relations – and at the same time, it is someone who knows the Kögel semi-trailers and services inside and out. Patrick Wanner has been working for Kögel as a Press Officer since 2011. 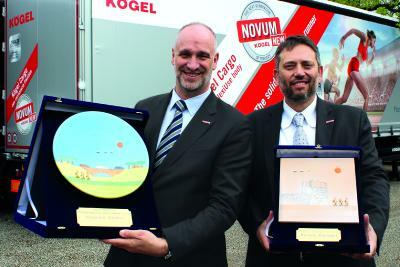 In this position, he has been able to significantly strengthen Kögel press relations in recent years. Prior to this, he was the PR manager at a world market leader in safety engineering and a PR consultant at a well-known Munich-based PR agency for high-tech, IT and industry. In future, his primary goal will be to communicate the Kögel product and service portfolio to national and international Kögel customers even more clearly with carefully directed press and public relations work. 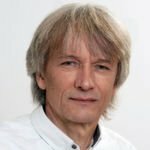 "Patrick Wanner has looked after the Communications Department largely on his own over the past few years and always to our complete satisfaction", says Petra Adrianowytsch. "Mr Wanner is ideally prepared for this new task and will assume all the requisite representative tasks in his new role in addition to his successful work with the press." "I grew up in Burtenbach and was infected with the semi-trailer and Kögel 'virus‘ in my early childhood, when I stood fascinated by the factory fence watching the hustle and bustle", says Patrick Wanner, the new Head of Public Relations at Kögel. "That's why I didn’t take long to make up my mind, when I was offered the opportunity to work for Kögel in 2011. So now it is particularly gratifying that the owner, Ulrich Humbaur, and the Kögel management team have again expressed their confidence in me with this promotion."